Director – Vic Sarin, Screenplay – Joe Goodman, Paul Lalonde & Alan McElroy, Based on the Novel Left Behind: A Novel of the Earth’s Last Days by Jerry B. Jenkins & Tim LaHaye, Producers – Paul Lalonde & Peter Lalonde, Photography – George Jiri Tirl, Music – James Covell, Digital Visual Effects – Calibre Digital Pictures & Keyframe Digital Productions, Special Effects Supervisor – John Laforet, Production Design – Arthur W. Herriott. Production Company – Cloud Ten Pictures/Namesake Entertainment. GNN tv journalist Buck Williams is aboard a plane flight when all the children and several people inexplicably vanish from their seats. These disappearances are happening all over the world and there is mass panic. 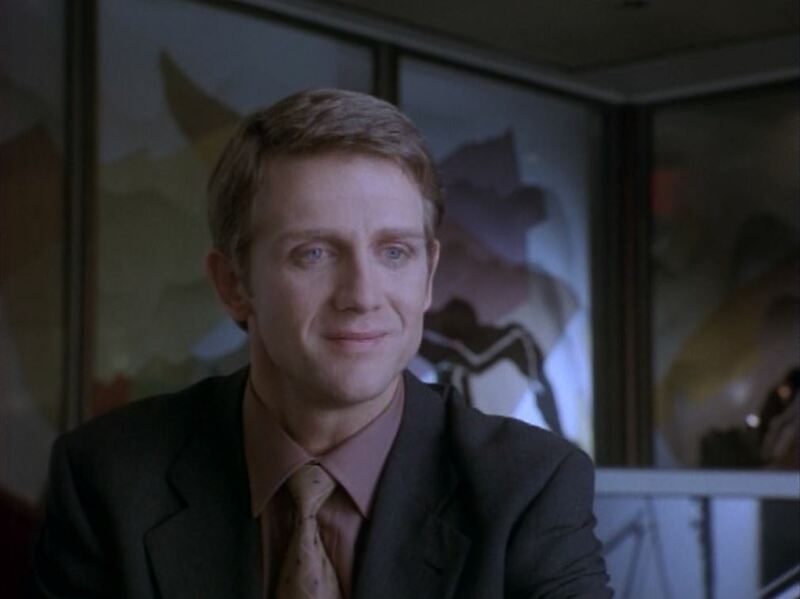 Buck returns to Chicago with the plane’s pilot Rayford Steele, whose wife and son are among those that have vanished. As Steele finds solace by rediscovering his wife’s Christianity, Buck follows a trail of clues on a cd given to him by a half-crazed friend who is then killed. The cd mentions recent political events in Israel and contains plans for the rebuilding of the Temple of the Mount in Jerusalem. Both Rayford through his religious awakening and Buck through his investigation uncover what has happened – the Biblical End of the World has begun and all true believers have been taken up to Heaven in The Rapture. Now, two international bankers are planning to bankrupt the UN and corner the distribution of a new food process to feed the poor of the world and in doing so prepare the way for the coming of the Anti-Christ. 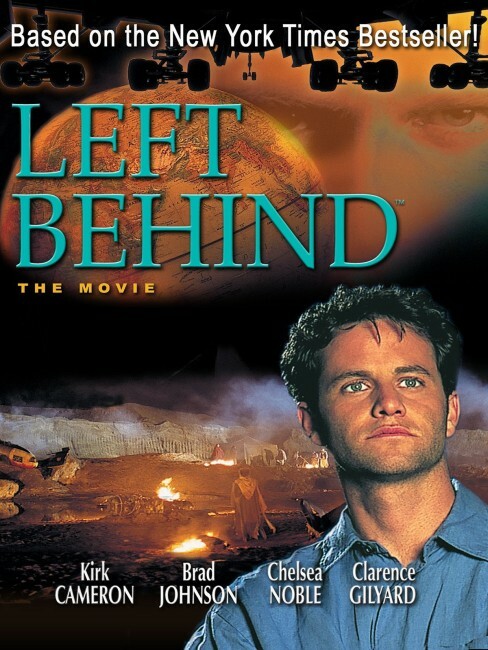 Left Behind is one of a host of Christian-made Biblical End Times films that came out around the turn of the millennium. Left Behind was made by Cloud Ten Pictures, a Toronto-based Christian production company formed by brothers Peter and Paul Lalonde. The Lalondes seem to have a peculiar fascination for this particular End Times niche (End Times referring to the Biblical prophecies from The Book of Revelations concerning the Anti-Christ, the Number of the Beast, The Rapture and so on). The Lalondes have made an entire tetralogy of End Times films with Armageddon (1998), Revelation (1999), Tribulation (2000) and Judgment (2001), as well as Vanished (1998), an unrelated earlier film on the topic. Left Behind is based on a best-selling series of books, something that the DVD’s making of featurette incredulously claims to be on Barnes and Nobles’ Top 10 books of the 20th Century list. The Left Behind books first began in 1995 and run to sixteen volumesg. The series is written by Tim LaHaye, a minister from San Diego, and former sports writer Jerry Jenkins. While the Left Behind series’ literary merit is questionable, what cannot be denied is that Jenkins and LaHaye have built a mini-industry out of the Left Behind books, spinning out a series of graphic novels, 40 children’s books, a videogame and a music cd, as well as parallel series focusing on the military and political side of the story. LaHaye has also published some 40 non-fiction books on Christianity, mostly on sexual and marital advice for Christian couples, which contain such charming titles as The Unhappy Gays: What Everyone Should Know About Homosexuality (1978). Left Behind is a much better film than the Lalondes’ Armageddon tetralogy and other Christian films on End Times themes such as The Omega Code (1999). In fact, despite its preaching of a message (evangelical Christianity) that one finds unpalatable, one cannot deny that Left Behind is a well-made and intriguing film. Unlike The Omega Code and secular efforts such as The Omen (1976), Left Behind cannily builds the story up as a mystery surrounding a Mysterious Unexplained Event. Unlike these other films, which have the prophecies unfolding boilerface, Left Behind constructs these in a science-fictional way – it almost becomes a disaster movie of sorts. Even on a modest budget, the film conducts a decent and even eerie attempt at portraying the fear and devastation that such mass disappearances would provoke. The downside of Left Behind is that it is only preaching to the converted – there is no real mystery about what is going on as the audience is familiar with The Rapture and the details of the One World Government, and seeing them fall into place feels more like an oft-told story wheeling out its devices. All the pet hates and paranoias of evangelical Christianity and End Times paranoia eventually get brought out – the evils of the United Nations and banking cabals, with the film even seeing something sinister in plans for world peace and someone promising to feed the starving. It certainly gets preachy. In one scene, Brad Johnson breaks up with his mistress (Chelsea Noble) while meaningfully holding a Bible in his hand and stating “Everything I need, everything I need to fulfil my life is here with my family.” On the other hand, Brad Johnson has a wonderfully handsome and reassuring presence. He certainly gives great conviction to a central character transformation – religious conversion – that would have seemed much sillier in another actor’s hands. 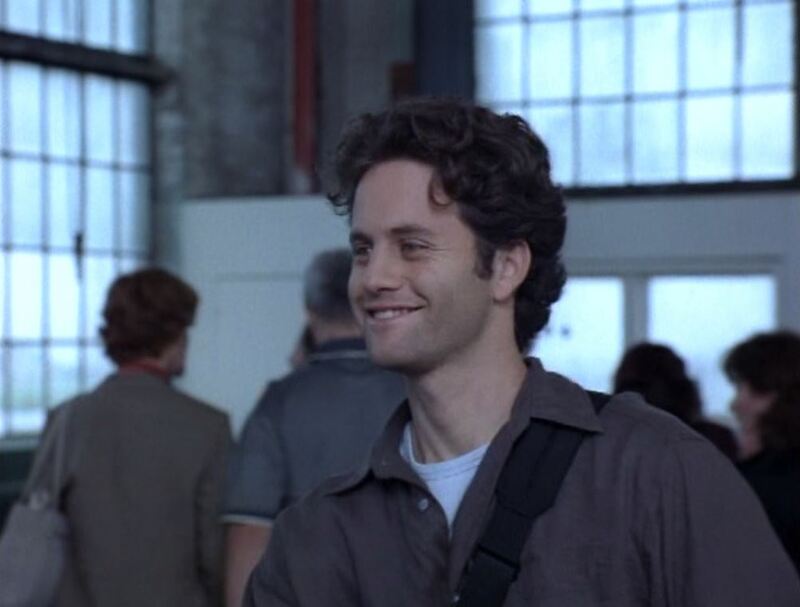 Less effective is the perpetually boyishly cute Kirk Cameron, once the cute teen star of tv’s Growing Pains (1985-92) and now a confirmed Christian, who is badly miscast as a seasoned cable news reporter. There is also an effectively dark and charismatic performance from Canadian actor Gordon Currie, previously known as the strung-out vampire in the indie film Blood & Donuts (1995), as the Anti-Christ. What is unique about Left Behind is its distribution strategy. The film was released to DVD and video several months prior to being given a theatrical release in 2001. The DVD makes a direct appeal to grassroots Christian activism and Kirk Cameron comes on to tell audiences: “We want you to tell everyone you know to come and see it. We want the film to appear in every city in America. Can you imagine the impact that will have on people? And if we can fill all those theatres with people, we will not only be sharing the most incredible story ever told, we will be sending a wakeup call to Hollywood and we could literally be bursting the door down for future Left Behind films and other films like it.” Alas, for such an ingenious scheme and such hyperbole, Left Behind barely achieved a theatrical release in any American cities. The two sequels, reuniting most of the cast and again produced by the Lalondes and adapted from Jerry Jenkins and Tim LaHaye’s books, was Left Behind II: Tribulation Force (2002), wherein the various characters try to stand up to the Anti-Christ by forming a revolutionary underground to preach Christianity, and Left Behind: World at War (2005) where even the US President converts to Christianity in an effort to stop Carpathia. The book later underwent a big-screen Hollywood remake with Left Behind (2014) starring Nicolas Cage. There was also a further film Left Behind – Vanished: Next Generation (2016), which reworked the basics for a Young Adult audience.